The world’s first virtual reality (VR) zoo will be opened in Guangzhou, southern China’s Guangdong province, on the first day of 2018, enabling the public to see rare animals and have amazing interactions, local newspaper Guangzhou Daily reported Tuesday. The VR project is a bold attempt by the 60-year-old Guangzhou Zoo, the paper said, adding that the VR zoo is formulating a new name card for the city. 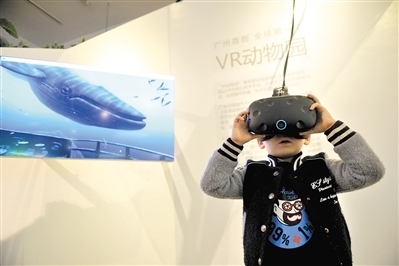 “VR technology will be applied to more areas including animal research, protection, and wild animal reservation,” said Chen Zujin, a staff member in charge of science education at the zoo. According to him, the VR zoo will also open an online channel for all animal lovers across the globe.